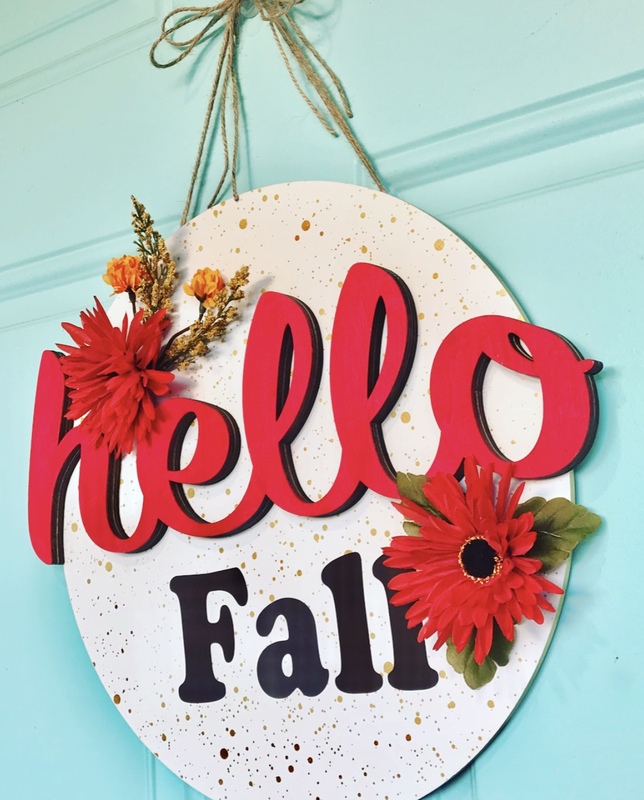 I have been on a kick to create “non-traditional” wreaths and this Hello Fall Wreath is was the perfect project for just that!! Follow along and I’ll show you how to make your own! 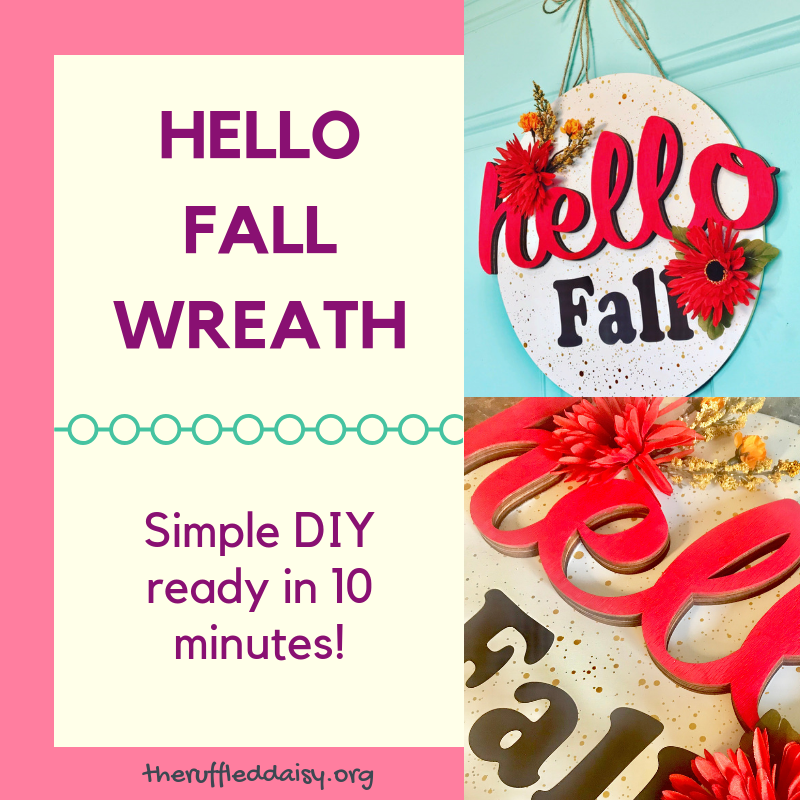 You only need a few simple supplies and you’ll have a new fall wreath to hang on your door in 10 minutes or less! You can go to Hobby Lobby and get a “hello” cutout or you can snag one here on Amazon! For the backing, I hit the Dollar Spot at Target at Easter time! It was PERFECT for this fall wreath! If you didn’t grab one earlier in the year, don’t worry! They always have things that you can use. Think outside the box. You can use plate chargers or anything that is round. 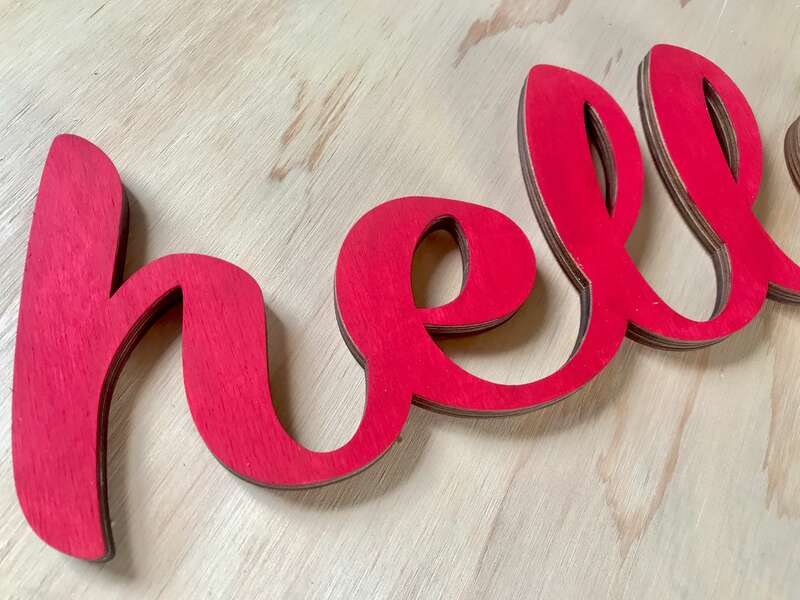 First up, I painted my wooden “hello” in one of my favorite DecoArt colors (Berry Red). 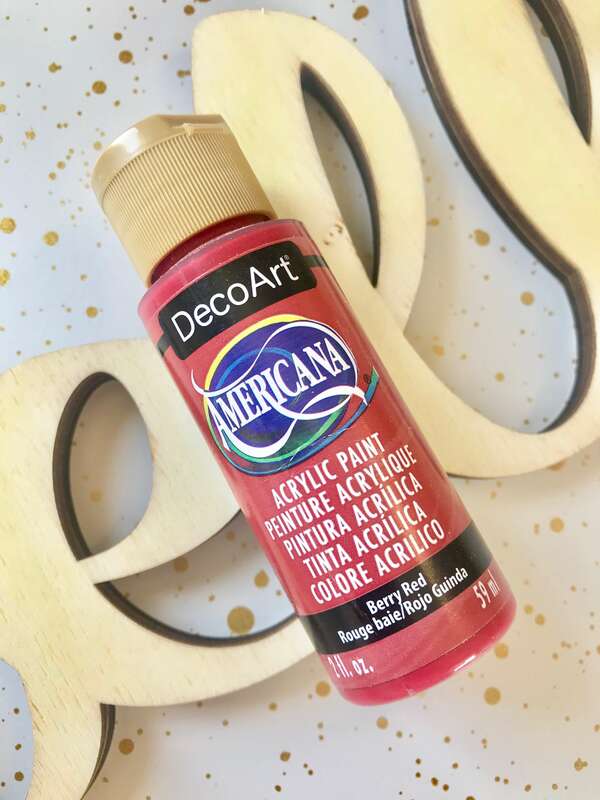 You can find DecoArt paint online or at Hobby Lobby and Michaels! I love this line of paint because of the GREAT coverage! After one coat, it was ready to go! 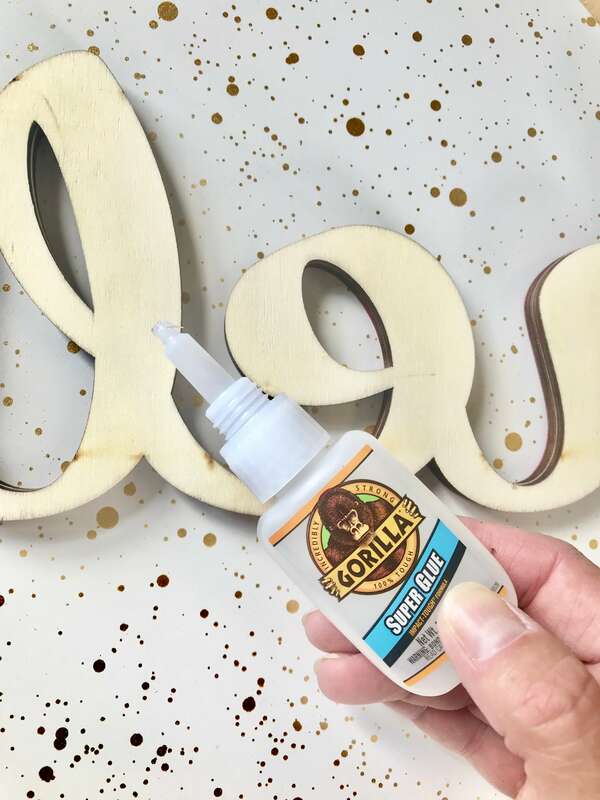 I attached my “hello” to the backing piece from Target with Gorilla Glue! This is the perfect product to make sure it stays during the hot fall days that we sometimes get here in Kansas. Next up was the fun part of bringing it all together! 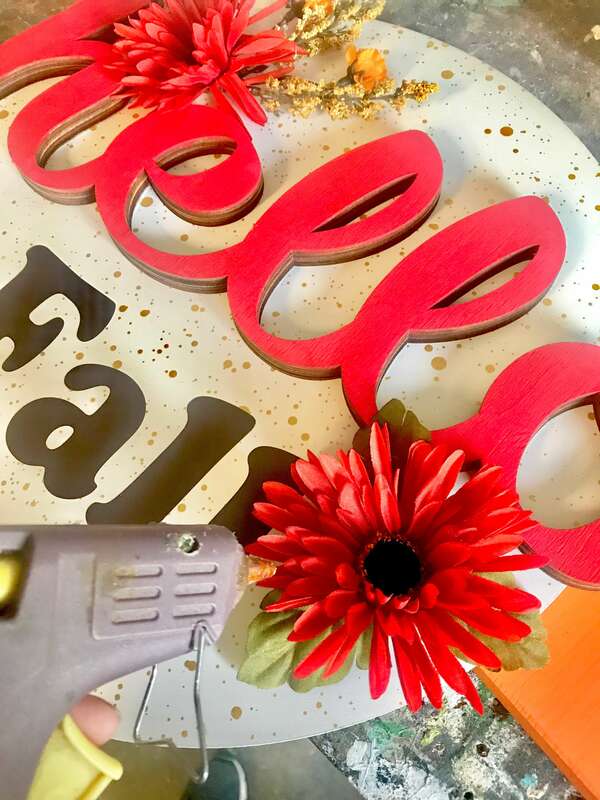 I used vinyl for my “fall” wording. 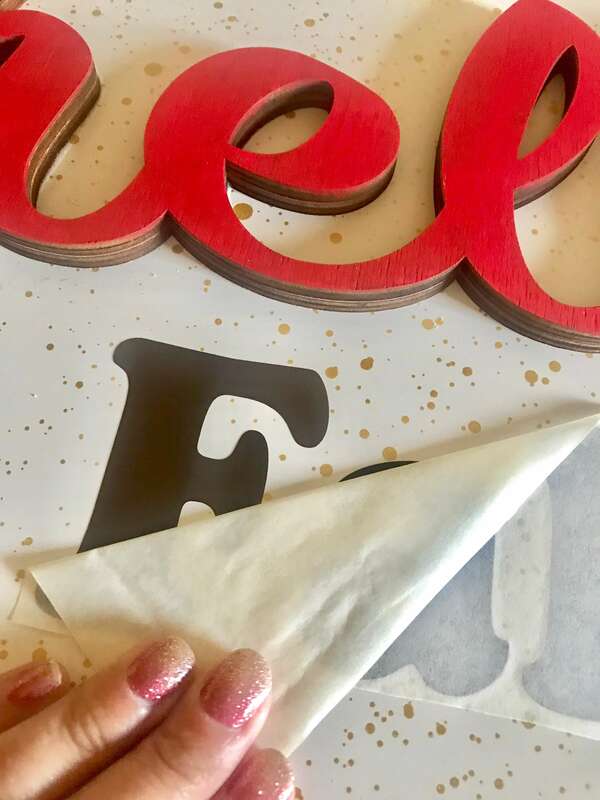 If you don’t have a Cricut or Silhouette, you can use stencils to paint this part. 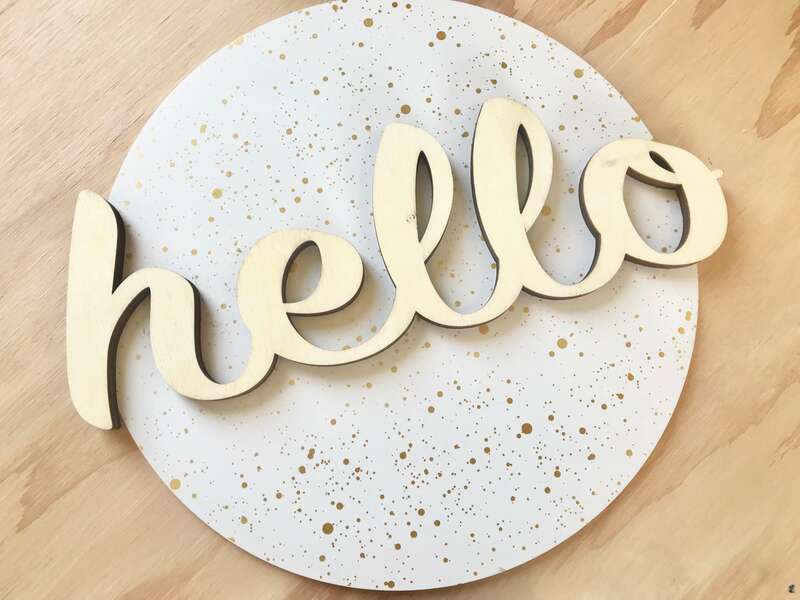 Using a font that is different from the script “hello” creates a sense of whimsy that is needed when mixing fonts. Lastly, I took some fall flowers that I had and just attached them with a little bit of hot glue. I didn’t want to overdue it since I wanted to keep this look simple so I just added two. Add some twine to the back with hot glue and it’s ready to hang!! Isn’t that just the cutest! I love that it’s bright and cherry yet still have the colors that are reminiscent of the fall season. 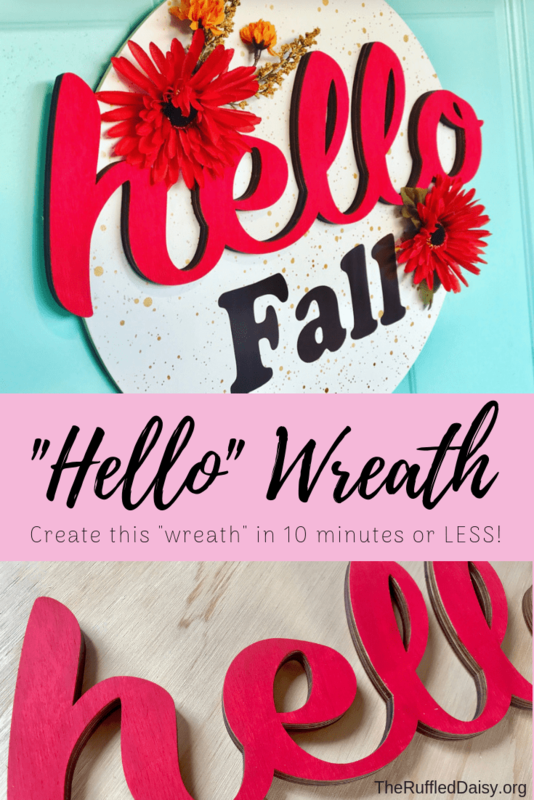 Have you created a new wreath lately that isn’t a traditional style or do you like to stay with what’s tried and true?